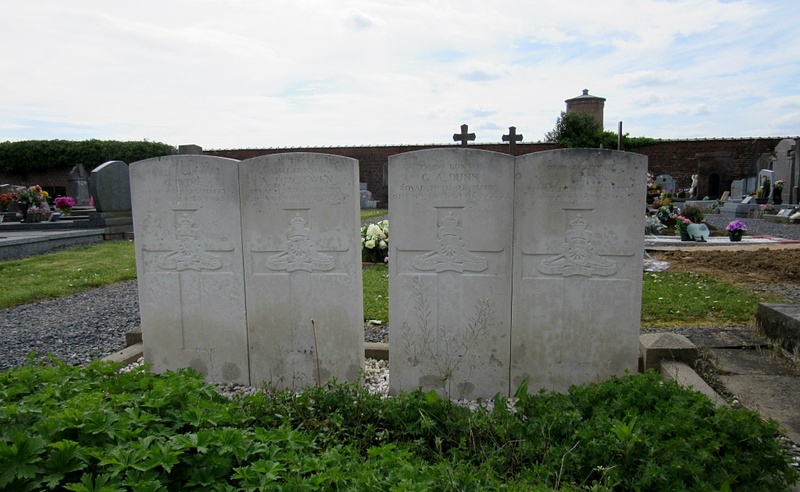 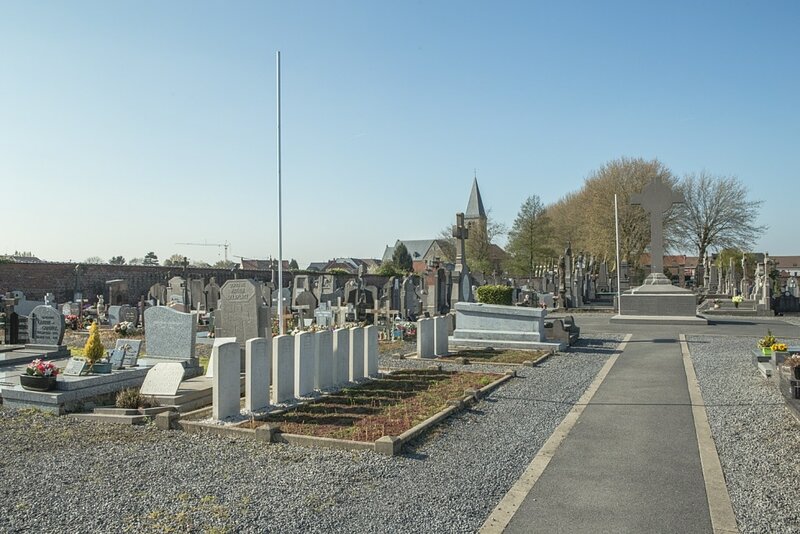 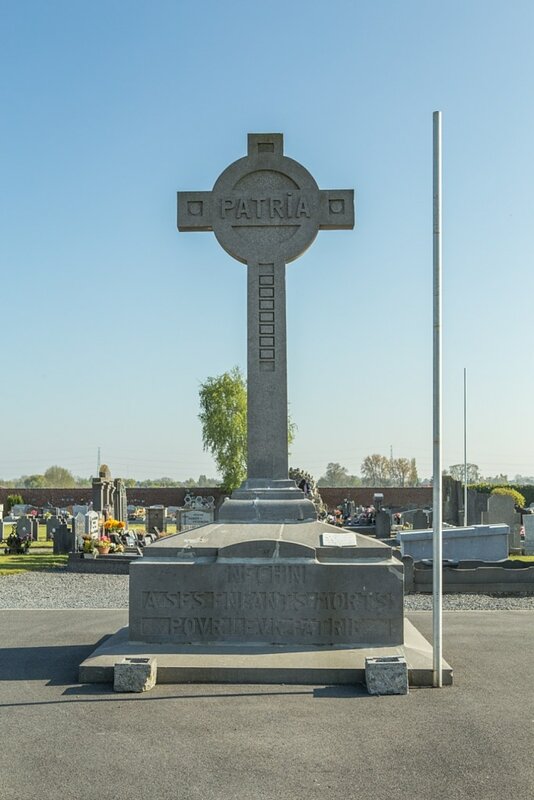 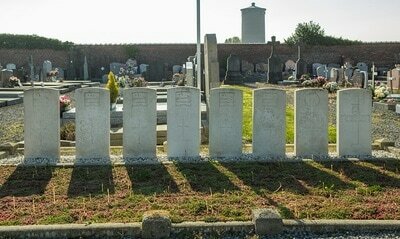 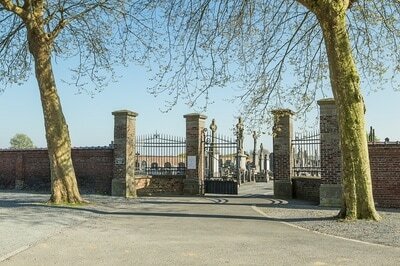 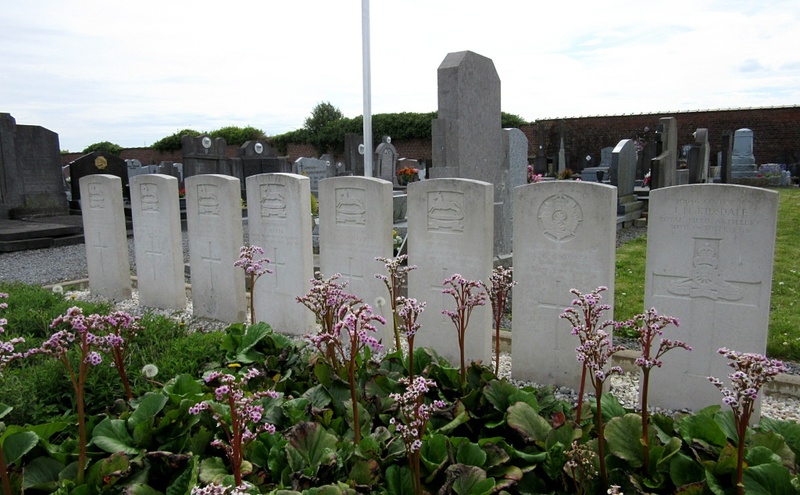 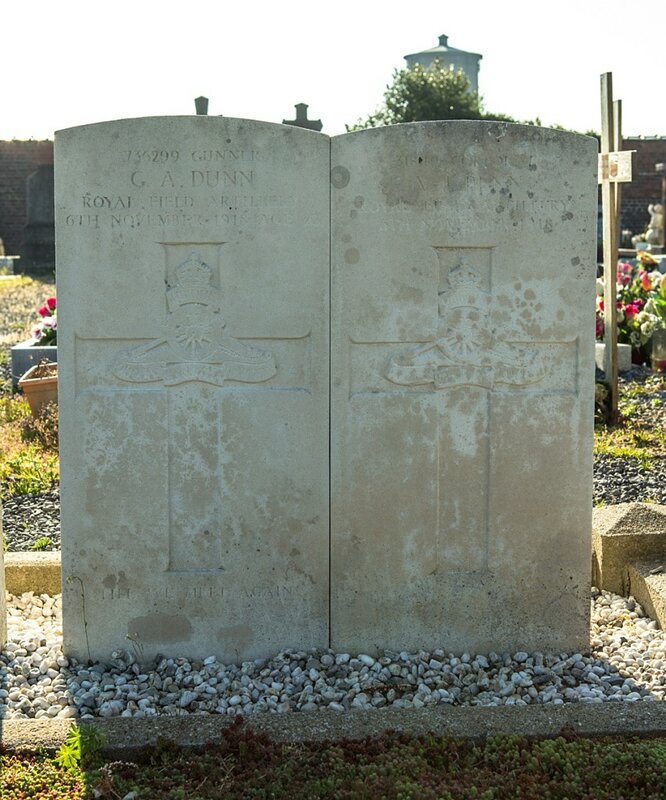 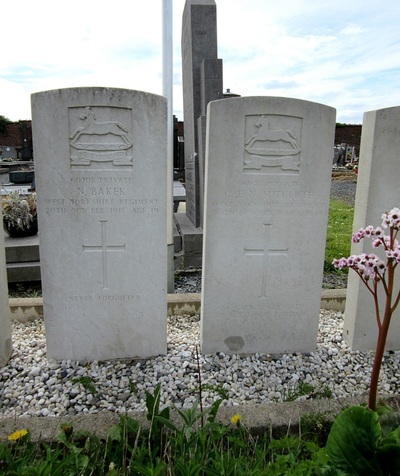 Nechin Communal Cemetery is located centrally between the towns of Kortrijk, Lille and Tournai. 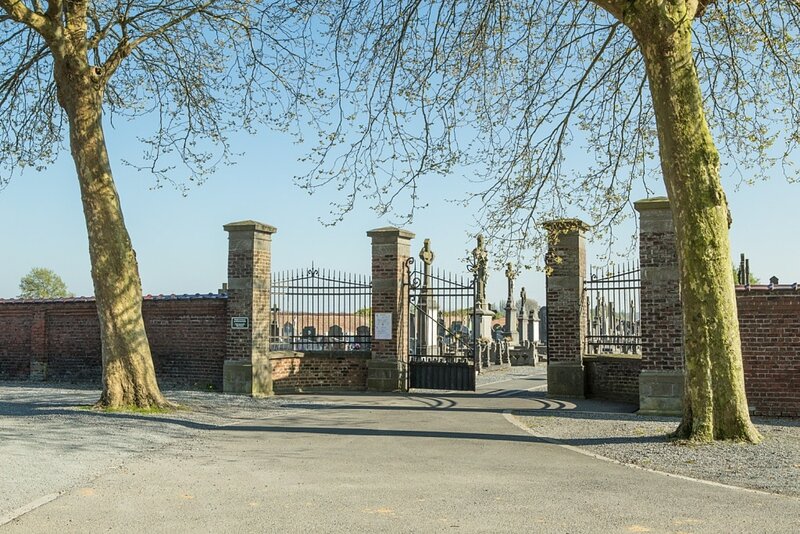 From Kortrijk the A17 leads 17 km southwards towards Tournai and the right hand turning onto the N518 rue des Combatants. 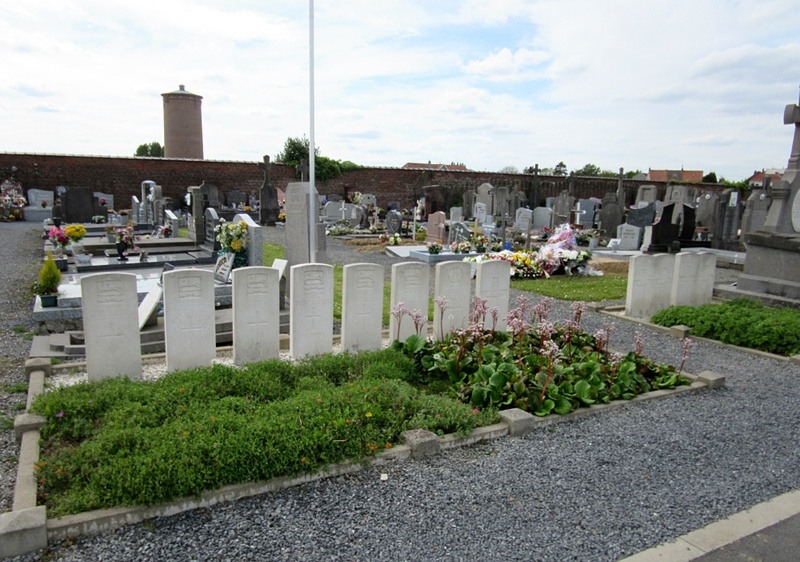 1.5 km along the rue des Combatants lies the village square of Nechin. 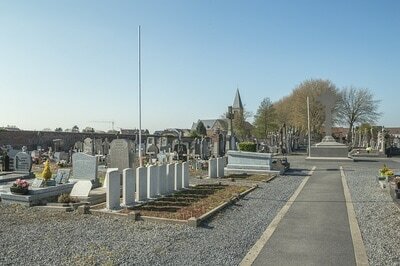 The cemetery is located 150 metres south of the town centre on the right hand side of the place du Sacre-Coeur. 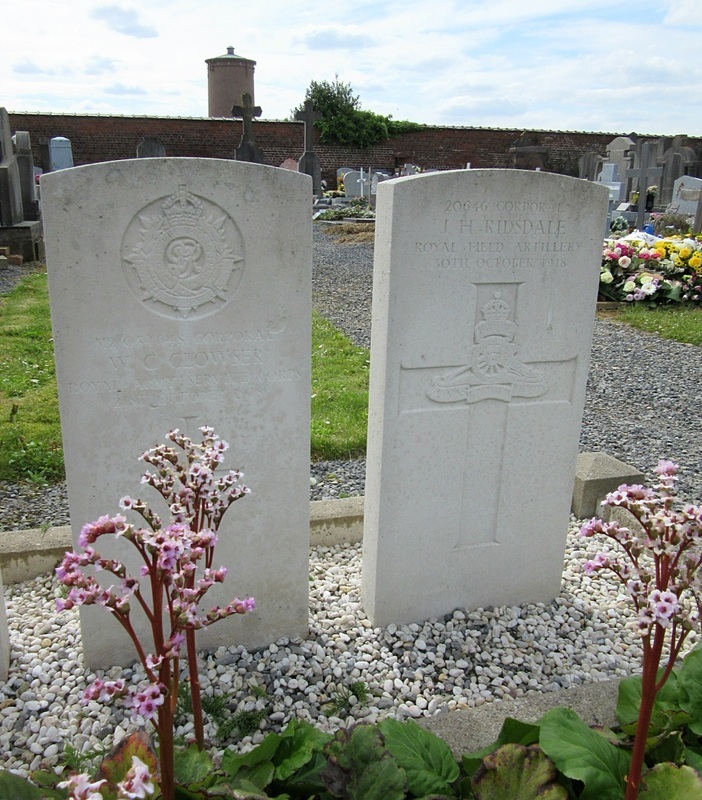 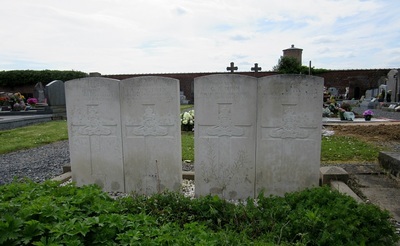 The graves are to be found in the South-West part of the cemetery. 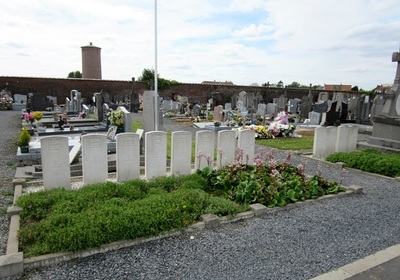 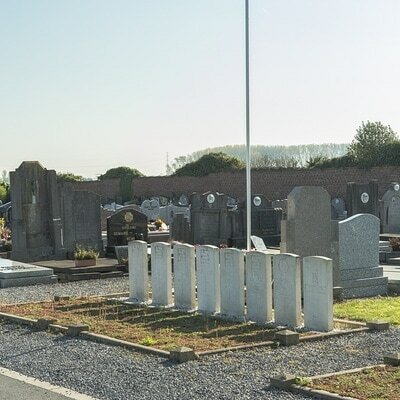 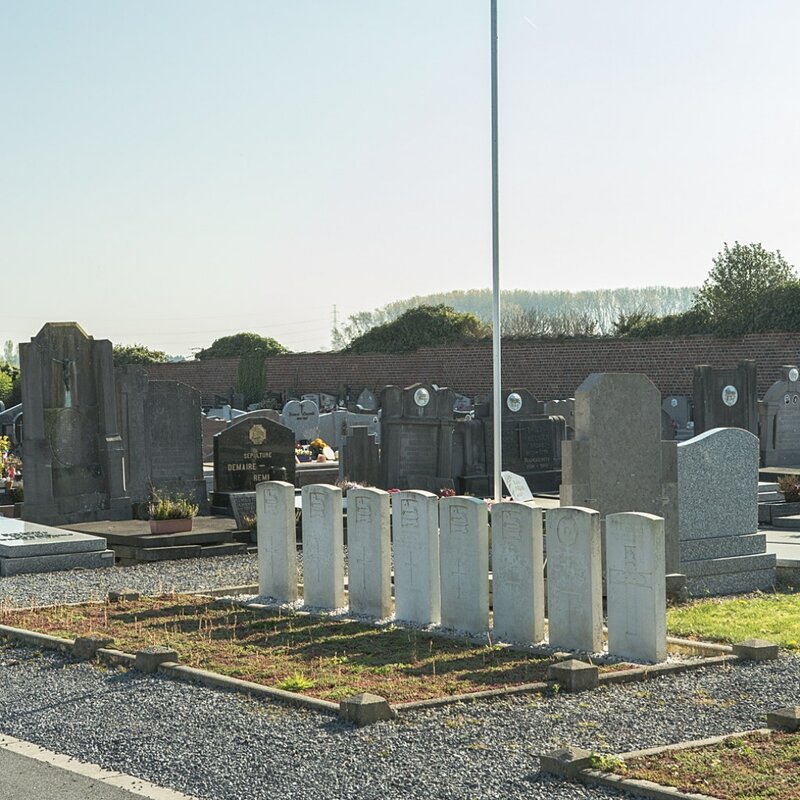 Visitors should note that this site is restricted to normal cemetery opening hours. 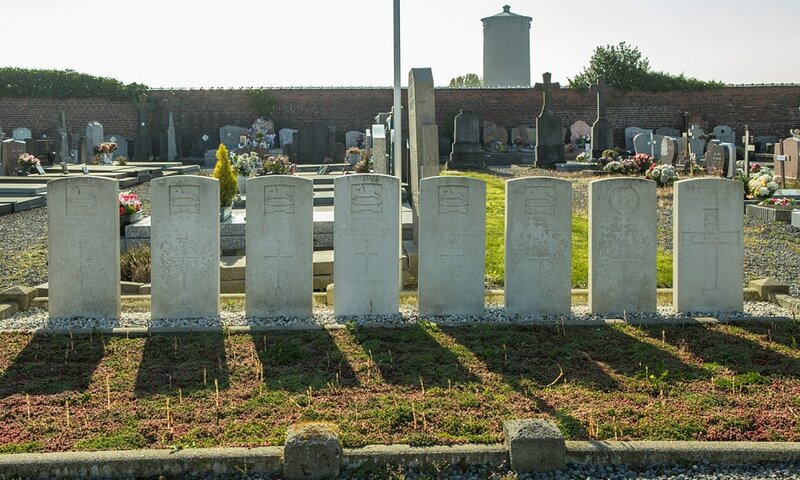 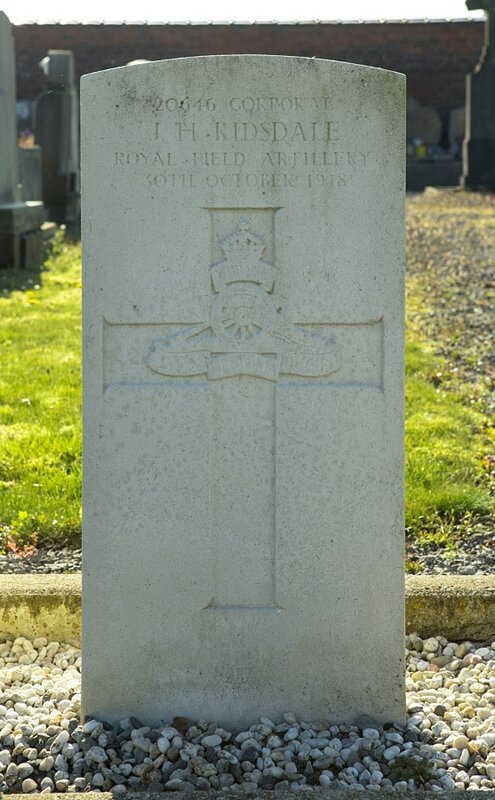 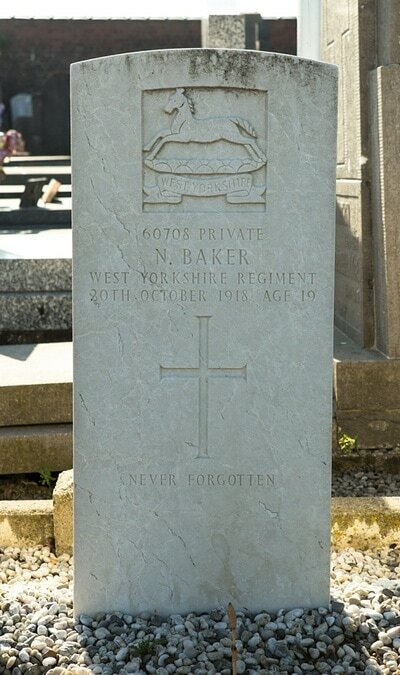 Nechin Communal Cemetery contains 12 Commonwealth burials of the First World War, all dating from October and November 1918, and the Advance to Victory.